IAG boss Willie Walsh has given Scandinavian airline Norwegian a maximum of one year to agree to a takeover deal. 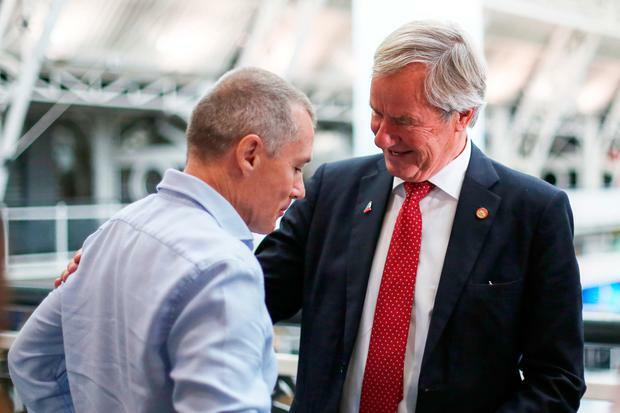 IAG – which owns Aer Lingus, British Airways, Iberia and Vueling – snapped up a 4.6pc stake in Norwegian earlier this year. Mr Walsh said at the time that IAG would be interested in making an outright bid for the airline. But he stressed yesterday that the window for thrashing out a deal was finite. “There’s no immediate hurry. But this time next year, if we haven’t acquired Norwegian, we won’t be holding those shares,” he said. Mr Walsh confirmed that no talks had been held between IAG and Norwegian since April. The former Aer Lingus pilot and chief executive said that IAG could continue to use its new low-cost Level airline to deliver the strategy that would have been accelerated with the acquisition of Norwegian. Level started as a long-haul operation, but has now launched a short-haul base in Vienna, serving 14 European destinations. That move puts it in direct competition with Vienna-based low-cost carrier Laudamotion, in which Ryanair will soon have a 75pc stake. Mr Walsh said he was “surprised” at the €150m that Ryanair said last month that it expected Laudamotion to lose in its first year. That’s higher than the €100m Ryanair had previously predicted. “We’re very pleased to have to have the opportunity to grow with Level,” said Mr Walsh. “We started with four aircraft and clearly have plans to expand that significantly. We think it’s going to be a good market for us. “We’ve always said that we have two options. One is that we can grow organically, and that’s why we created Level,” he said. 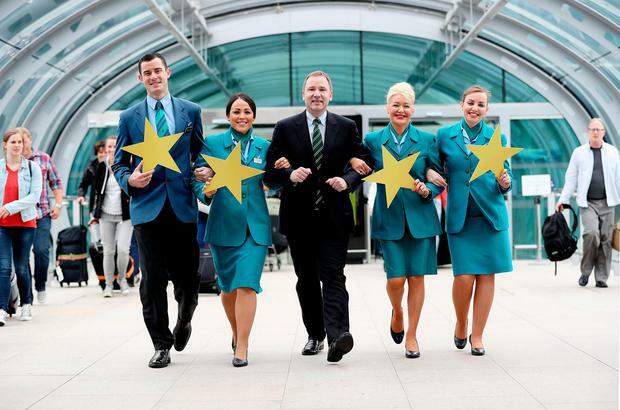 Mr Walsh also said it would be “foolish” not to exploit the growth opportunities presented by Aer Lingus. The Irish carrier saw its operating profit soar 51pc to €104m in the first half of the year, and delivered a return on invested capital in the past four quarters of 27.8pc – the highest by far of any other IAG division. IAG delivered an operating profit of €835m for the second quarter, which was up from €790m in the second quarter of 2017. Aer Lingus plans to launch two new routes to North America next year as it takes delivery of four new Airbus A321 LR jets, according to its chief executive, Stephen Kavanagh. It will bring its total North American routes to 15. The new routes will be announced in the coming weeks, with plans to launch them next July. Mr Walsh said Aer Lingus’ model had been “very effective”. “We always believed that there was a market opportunity there but, credit to the team there, they’ve demonstrated that it’s even better than we thought,” said Mr Walsh. But Mr Kavanagh has also said that infrastructure development at Dublin Airport needed to keep up with the airline’s growth ambition. “Dublin Airport’s forthcoming capital investment plan will represent a step change in investment to facilitate further long-term growth at the airport,” said a DAA spokesman.